Website Designers and Web Developers build and maintain the digital presence of almost every business, nonprofit and government entity in existence. They have responsibility for ecommerce and help to shape an organization’s reputation by the usability and flow of its website. These professionals may work in-house, at an agency or own their own business. SLCC Workforce & Economic Development introduces accelerated programs for both roles to help you join this career field. Two tracks allow you to customize your education according to your needs and career goals. With overlapping courses, it also is possible to complete both programs in as little as 5-6 months. Internships will be available at the end of each track for hands-on experience to round out your digital portfolio and begin creating your network in Utah’s fast-growth IT industry. Courses are available at three locations: the Miller Campus (Sandy), Taylorsville Redwood Campus and the Westpointe Campus (Salt Lake City). Classes will be held once a week. Financial assistance may be available; contact the program manager for details. This course covers the fundamentals of HTML, the building blocks of creating web pages. An in-depth dive into syntax, best practices for organizing documents, the importance of semantic structure when planning a website, website fundamentals, uploading File Transfer Protocol (FTP) to a web server, and Adobe Dreamweaver are introduced. Students will learn about the “interior design” of creating web pages. CSS syntax, best practices for web page design following a semantic approach, domain registration and hosting, propagating websites, and designing responsive websites using bootstrap and CSS elements are introduced. This course is an introduction to the scripting languages of PHP and database management system MySQL. Students will learn how to integrate PHP and MySQL to create web applications. 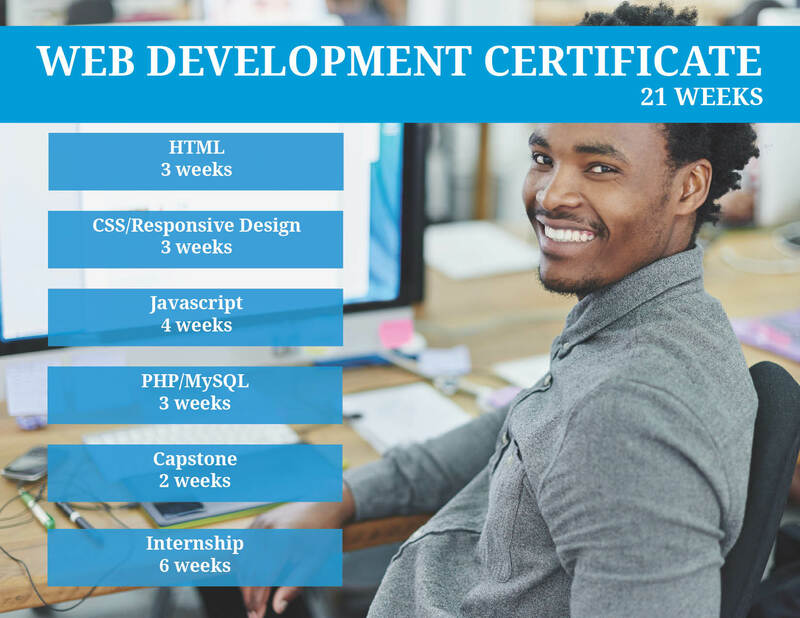 This course enables students to utilize the skills gained in other website development courses to finalize their capstone project and add to their portfolio. Students will showcase their website project with classmates and learn resume-building and interview tips specific to the industry. 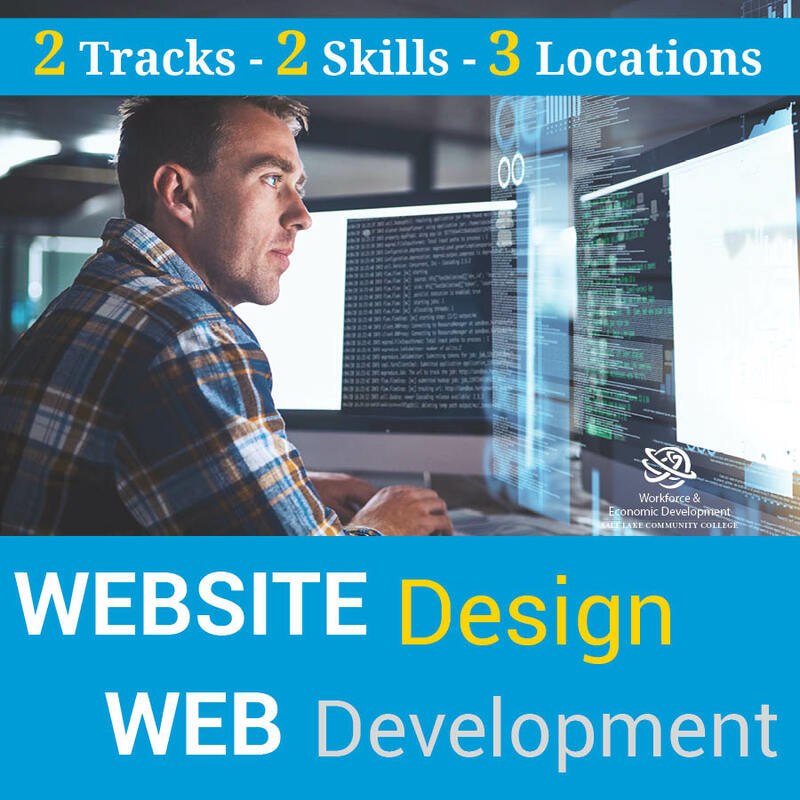 This course enables students to apply the skills gained in other website design and development courses by completing a real-world project with a local business partner, developing a personal portfolio, and preparing them for employment in the industry. Currently one of the most powerful and popular content management systems (CMS) online and an open source tool capable of creating any style of website or even an online store. This course introduces participants to basic WordPress tools for designing websites. This course enables students to utilize the skills gained in other website design courses to finalize their capstone project and add to their portfolio. Students will showcase their website project with classmates and learn resume-building and interview tips specific to the industry. Simply call 801-957-5367 to enroll in any class, M-F, 8:00-4:30 pm. Payment is due at the time of registration. Do I need to be a current student at SLCC in order to take classes? No, if you are enrolling in non-credit classes, you do not need to be a current student. Simply call our registration office at 801-957-5200 to enroll. Classes are held at three campus locations. Check the schedule to confirm the location. What if I register for a course but decide to drop? Can I get a refund? In order to receive a tuition refund, the course must be dropped 24 hours before the course start date. No refund will be issued after the start date. Contact the Program Manager regarding availability and information.